The other night, as I walked into Payless for my final shopping trip for this series, I had one goal in mind: buy something outside my neutral comfort zone. I absolutely LOVE my brown boots and my buttery soft checkerboard moccasins, but now I needed dress shoes for our upcoming family party. I didn’t want to go with the same black shoes I always wear. I wanted something that sparkled and shined, figuratively speaking. Turns out my inner shoe shopper took that very literally! Before I even walked in, I saw a row of sparkly beauties lined up and waiting. A whole lovely row of sparkle! The only down side? They all had high heels. Me and high heels equals disaster of epic proportions. I’m not even remotely kidding here. I had to wear a wedge heel for my brother’s wedding and was terrified the whole time because even that bit of instability was too much for this klutzy girl! My head may be in the clouds like a dreamer, but I like my feet planted solidly on the ground, thank you very much. Inside the store, I noticed they had sparkly flats. Score! Now, just to find my size and a color that screamed “buy me!” I’ll be honest, I was looking for black sparkly shoes. I figured that counted as “outside my neutral zone” because, hey, they were sparkly! 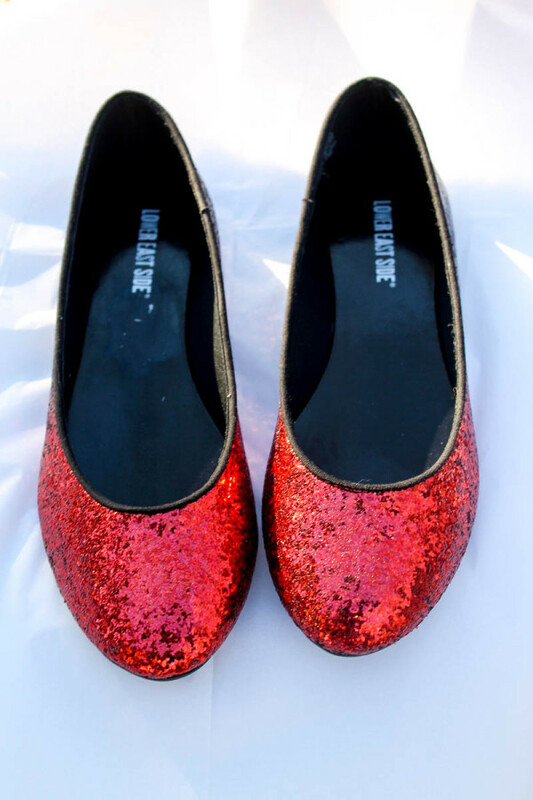 But when I saw the Women’s Chelsea Flat in Red Ombre Glitter, I had to have them. Just look at them! They look like ruby red slippers! It doesn’t matter that I don’t have anything in my closet that goes with them, I’ll buy something! For the first time in my life, I bought the shoes before the outfit. These little red shoes with their glitter and sparkle instantly brighten my mood. They were 50% off, so at just $14.99, the price made me quite happy too! The Chelsea Flat comes in a bunch of colors. If you’re not feeling the ruby red love, they also silver or gold glittery shades. If your personality is all the sparkle you need this holiday season, you can also get them in non-glittery colors. My opinion? Go with the glitter! This is definitely the season for letting that inner sparkle come out and play. Since Payless makes buying on-trend shoes so affordable, stepping outside your comfort zone and having a little fun with your feet doesn’t hurt your wallet! Since these pretty little red numbers were on sale and I had a coupon for $10 off $30, I decided to step back into my comfort zone- literally- and grab a pair of comfy casual shoes that go with my more traditional wardrobe of black pants and sweaters. I have a gaping hole in my shoe wardrobe when it comes to comfy black shoes. I have these cute sweater legging/tights that I wear under a swingy black skirt and pair with one of my favorite black and white sweaters. Then I ruin the look with sneakers, because I have nothing else that goes with them. These Women’s Cozy Dream shoes called out to me to try them on! While the Glitter shoes pulled me in with their glitz and glamour, I loved these because they weren’t shiny. They’re a perfect fit- pun intended- with my usual wardrobe. The fuzzy lining sealed the deal! 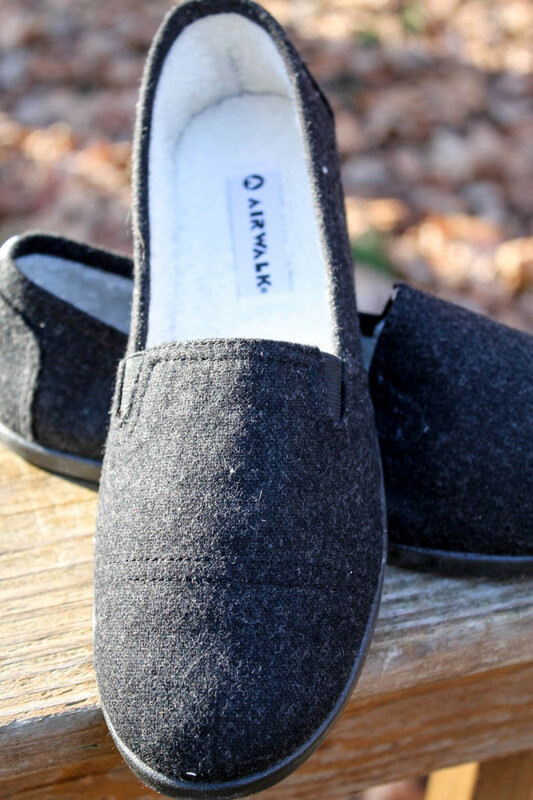 They fit like a dream and feel as comfy as my moccasins, but with a more traditional look that goes well with just about anything in your casual to business casual closet. 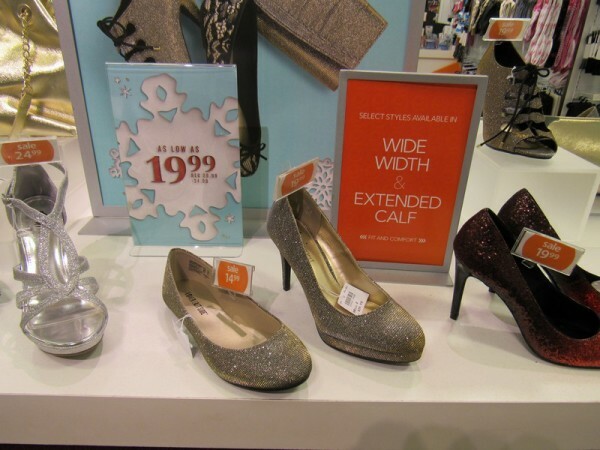 With the holidays approaching fast, sales are seriously heating up at Payless. I didn’t pay full price for a single pair of shoes in this series. Come to think of it, I don’t think I’ve ever paid full price for a pair of shoes at Payless! They’re always running some sort of fantastic special. Whether you’re shopping for yourself or a whole family, it’s easy to find on-trend, stylish and affordable shoes that you’ll love. If you haven’t been to Payless recently, definitely head to your local store or check out Payless online to see what you’re missing! You might be surprised at the incredible selection of up-to-date styles! I visited three times in the past month and each time found something new that I absolutely had to have! 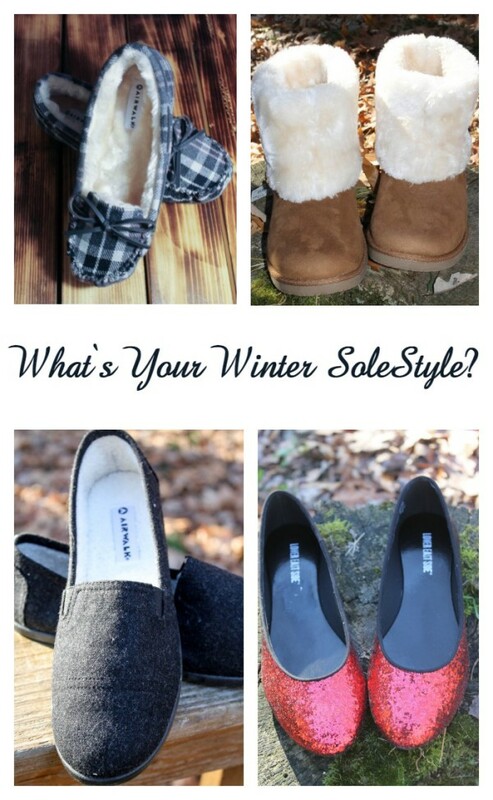 Let’s check out my winter #Solestyle one last time! Need a little more inspiration on great holiday looks for the whole family? 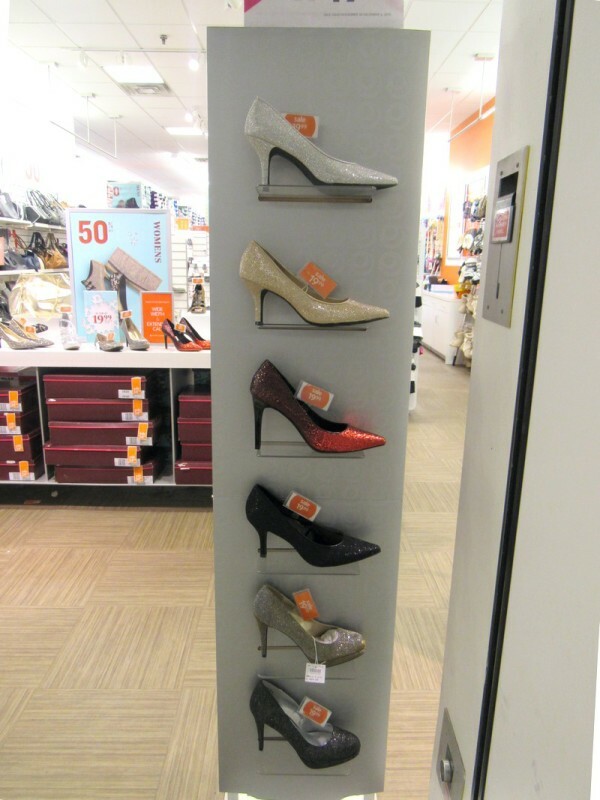 Check out Payless on Pinterest! Now that my feet are properly outfitted for every occasion, I can check that off my long holiday to-do list! Get over to your local Payless and check it off your list! What’s your Payless Solestyle? Do you go sparkly or neutral? Heels or flats? Tell me in the comments about your favorite holiday shoes! Those are some awesome shoes. I need those red ones! They remind me of The Wizard of OZ! Those prices are awesome! I love going to payless for new shoes. They have a very nice selection and they always go with the season. Thanks for sharing! They have such cute shoes there! I shop there all the time for my shoes. Wow, these look great. 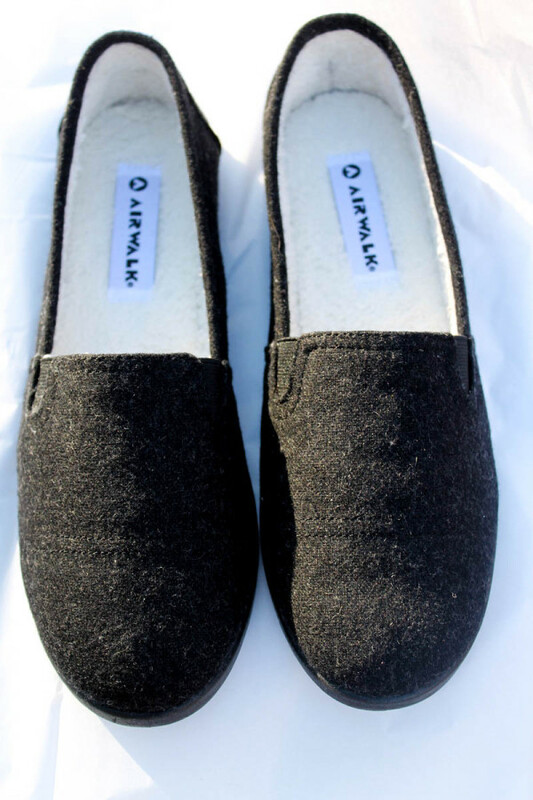 It would be awesome to have some cozy new shoes for the winter. I could get some nice ones for the holiday parties too. I am a sucker for sparkles. I love those glittery pumps. Great for the holidays! Those are just gorgeous! I so love those shoes and how I wish I can have them all. Playless has a wide variety of shoes that work great for just about any occasion. I really love those boots. Oh how cute are the sparkly shoes…. If they have them in kitten heels I am 100% sold!! Ruby red slippers??!?! I’ll get them, my pretty! Or at least at them to my wish list! Wow I love all of these! 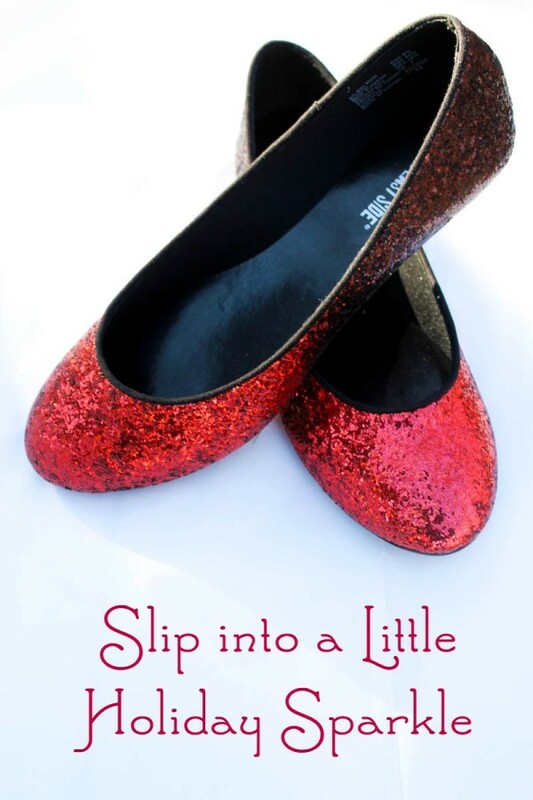 Especially the ruby red slippers. They all look super comfortable too! I love the flat sparkly shoes. They look very comfortable. I love shopping at Payless. I need to rush to the nearest Payless store to have a new pair of shoes. I really love shopping at Payless. I have to say that I’m not a fan of Payless. They always have the cutest shoes, but the fit never works for me. 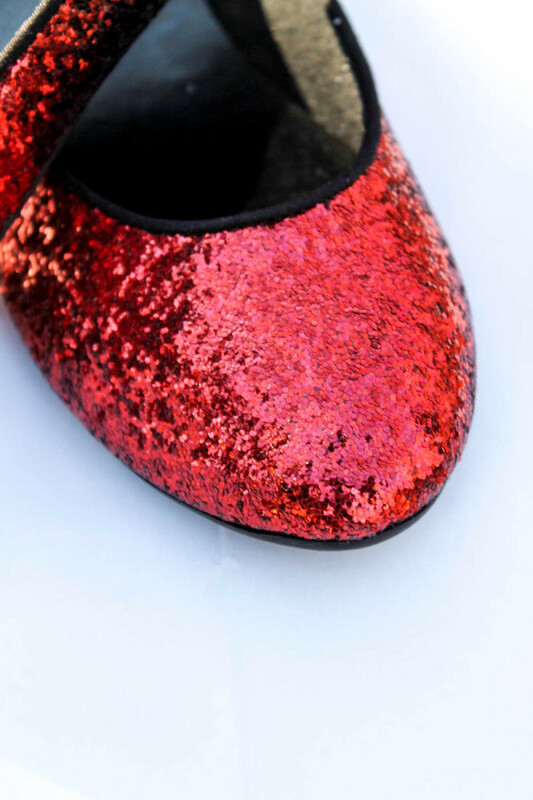 I would love to try to get the ruby red slippers. I love all of the sparkly accessories in stores this time of year! I haven’t been into Payless for a while, but I’ll have to go check out those shoes. I am all for comfort and warmth. Although glittery shoes look so attractive, I would choose a more laid back style like flats or lined boots. I will go check out Payless for some comfy shoes to wear this season. If i’m going out somewhere special, I will most definitely wear a pair of stiletto heels or boots! The sparkly flats would be great to use as indoor shoes at a holiday party. Wow!!! These shoes are ready to impress to anyone. I have seen many girls wearing sparkle shoes these time that’s why thinking to buy a pair. Yeah, I haven’t heard about payless in my country.